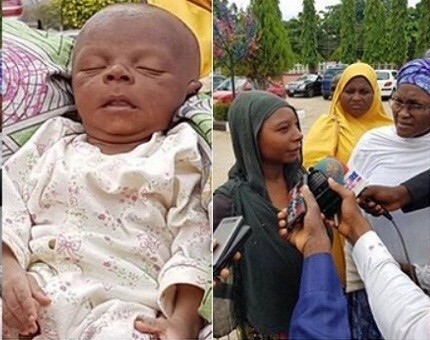 A 3-month-old baby boy whose mother, Aisha Yau, attempted to kill, has been rescued from by Kaduna state government. But unfortunately for her and fortunately for the infant, a passerby quickly drew the attention of the commissioner to the scene. But the lady, Aisha said, she could not explain how she found herself in Kaduna. “One of my suitors in Kasuwan Baici here in Kaduna got me pregnant but he denied the pregnancy and refused to take care of me and the baby. So, I want to kill the baby to save myself from shame”, she said.